We have curated a list of 17 kitchen products which are not only useful but are also light on the pocket. 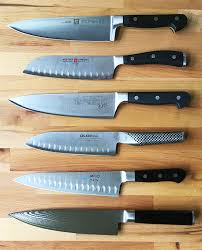 A sturdy and razor-sharp knife is one of the most important tools in any kitchen. You can find this knife in many different sizes, shapes, and price making it the weapon of choice in most of the kitchens. This high carbon steel knife is surely a utilitarian workhorse. 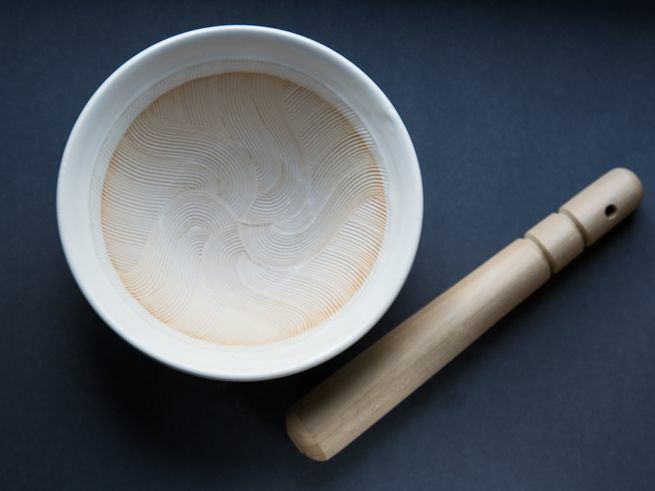 One of the oldest and most essential cooking tools for any kitchen is the mortar and pestle. There is absolutely no substitute available, even if you decide to use a food processor or a blender it won’t always give you the same effect. A food processor or blender will definitely help you to chop up the ingredients into tiny pieces but a mortar lets you mash them into smithereens, breaking down more cell walls (without bruising delicate ingredients like herbs) to give you more flavorful curry pastes and better pesto. Your kitchen consists of larger items of food to be stored for which too many small containers may end up occupying a lot of space. You can purchase a huge container which is made up of nearly indestructible plastic and has strong airtight lids which is easy to stack, have high volume markers, and the best part is that it is dirt cheap. 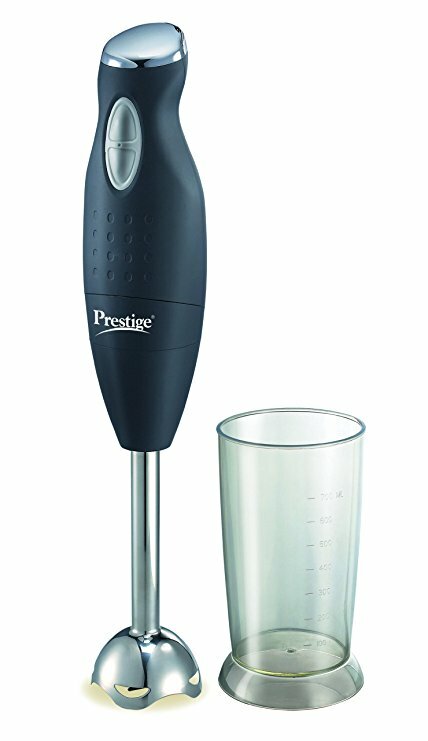 A hand blender is a handy and effective tool which also does not hog up a lot of precious kitchen counter space. This blade is effective and it can handle anything from whirring to chopping to whipping making your prep job a 1000 times easier and faster. There are many different things which you can make with the help of a blender from pesto, salads, marinades, smoothies, mayonnaise, whipped cream, sauce, scrambled eggs, and batter and so on. Squeezing a lemon with your bare hands when you need to get things done quickly can be quite the time-consuming task and you may not even get the best results. Especially if you are making fresh lemonade or a homemade margarita it is quite a tiresome job. 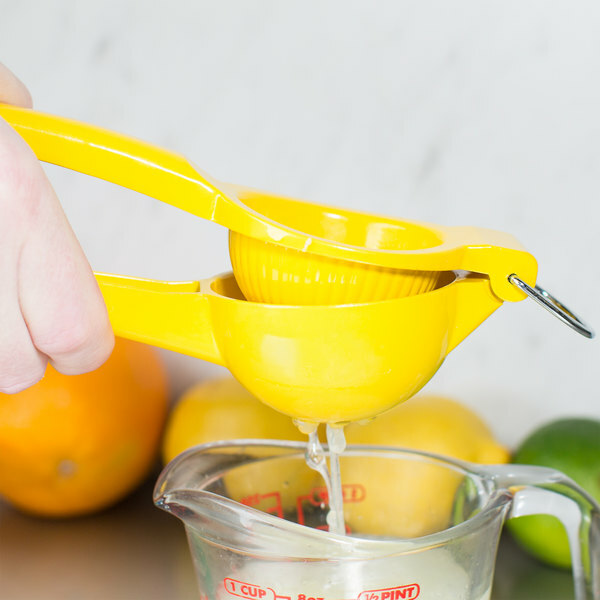 So, make use of this simple manual lemon squeezer which is effective and will help you get the last bit of juice out of the lemon. 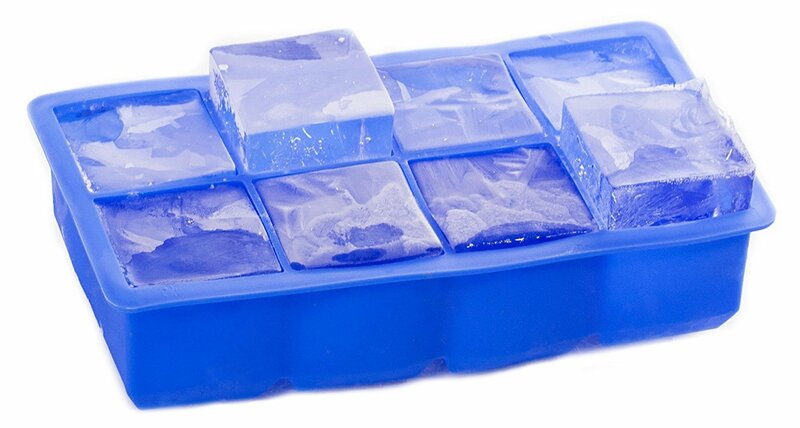 If you are having guests over regularly or you are someone who loves to enjoy a drink at the end of the day, a cube of ice is the perfect addition to your drink. You can get a highball ice cube tray which will leave more surface area in the same glass once you add it to the drink. Thus helping it dilute your favorite cocktail faster. In simpler terms: These jumbo cubes won't water down your perfect old fashioned or spicy margarita. 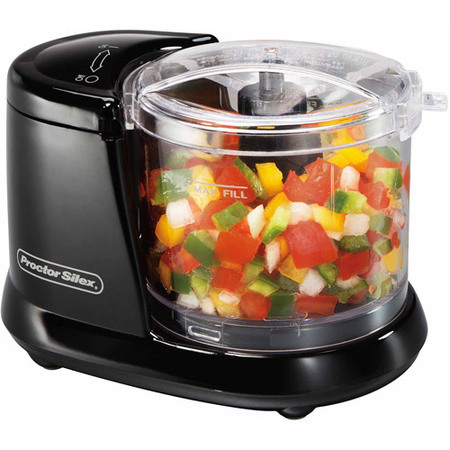 For simple and fast cooking use this simple and handy food chopper which can easily chop vegetables including tear-inducing onions, and even whole nuts which you can use to make a small batch of soup, a vegetable or even a quick salad. A Swiss peeler is one of the go-to items for some of the best chefs in the world. 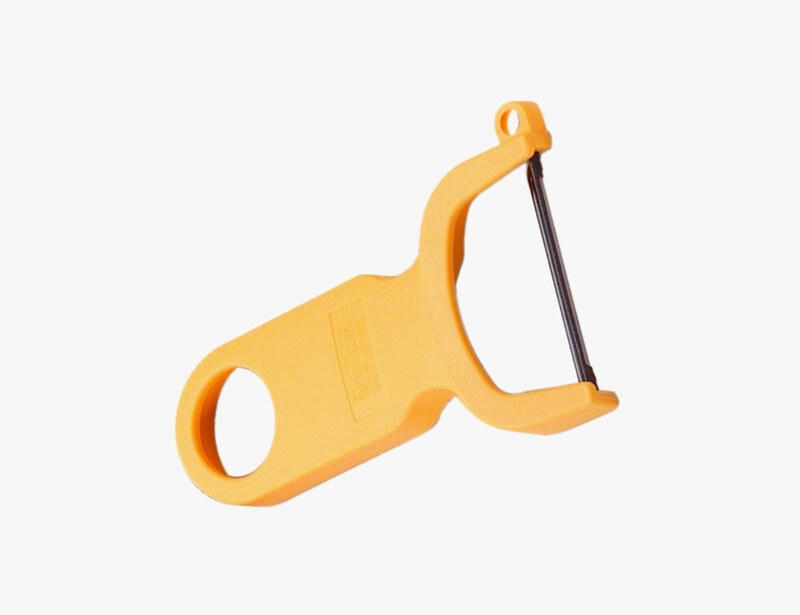 This peeler is easy to handle and fast working to complete any task quickly and swiftly. However, make sure that the blade is completely dry before you decide to toss it into the drawer as the grooves in the blade are prone to holding water droplets. 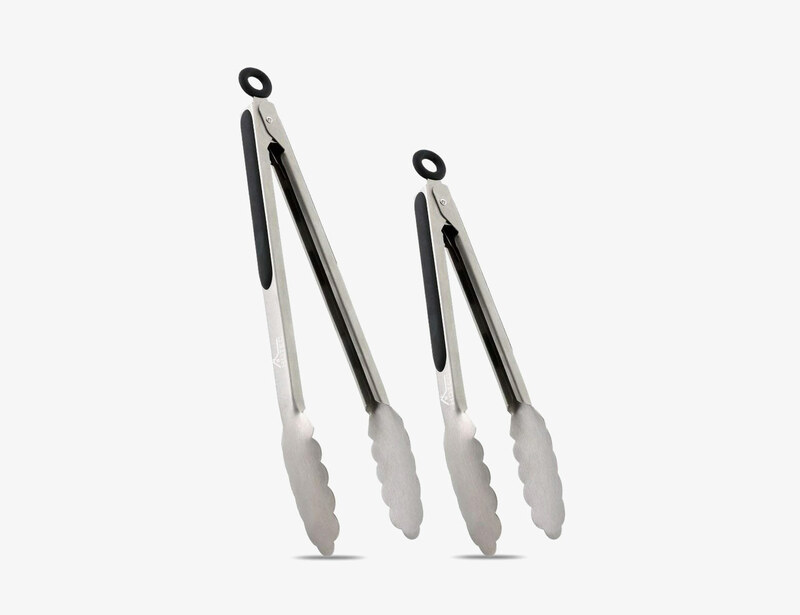 Tongs are used to hold the various hot objects in the kitchen very carefully and easily. Their silicon grips run a bit further up the sides of the tong so a more choked-up grip is possible should you need it for heavier flips. 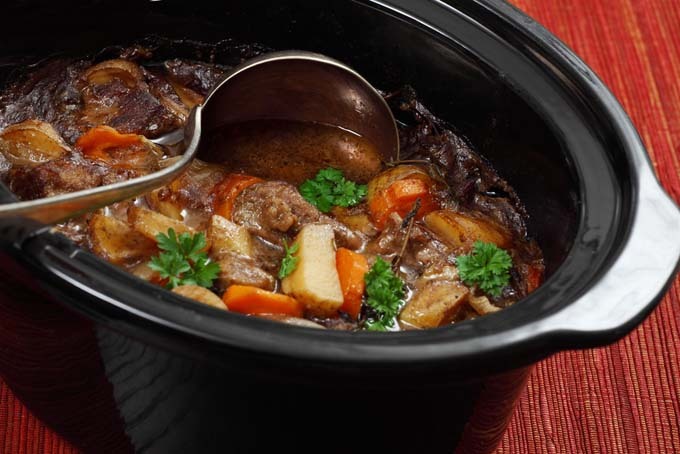 Another must-have gadget in your kitchen is the slow cooker also known as a crockpot. This beauty is a great gadget to cook leftover meals, toss it with some broth and you have got yourself some delicious soup. A crock pot is a gadget that definitely finds its way into families with a busy schedule, where different family members eat at different times of the day. Using this simple cooking method, they can each eat a hot meal without requiring you to put in the effort of cooking multiple times. 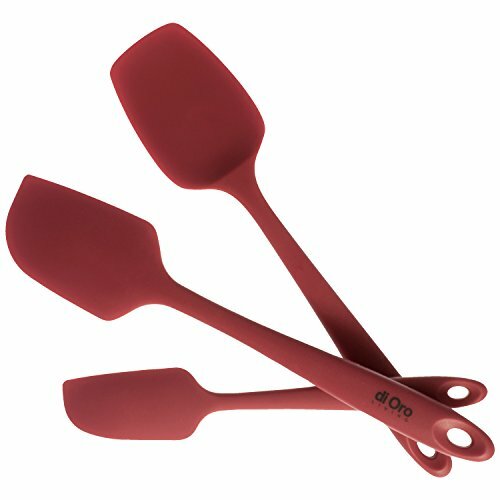 Having a good set of spatulas in at least three different sizes will help you save time and money in the kitchen. It will help you to avoid any unnecessary wastage of food and help you use the last of the mayonnaise or pouring batter from a mix that you have just prepared. Not just that, a rubber spatula is also the perfect tool to spread much better than butter knives and help you accomplish the job in one swoop. It is also a huge time saver if you are making sandwiches for many people. 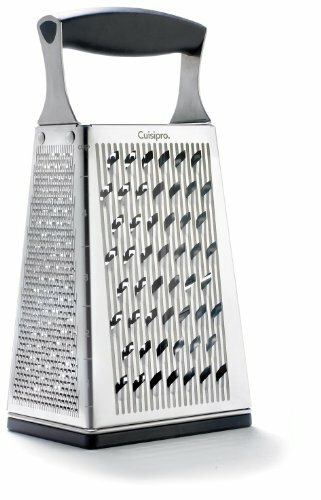 A good grater will help you save a great deal of time and help you grate not only cheese but also other raw vegetables from radishes to potatoes and much more. Further, it will also not take too much of effort to do your own grating and you will also find that grating some items is much faster than chopping it with a knife. 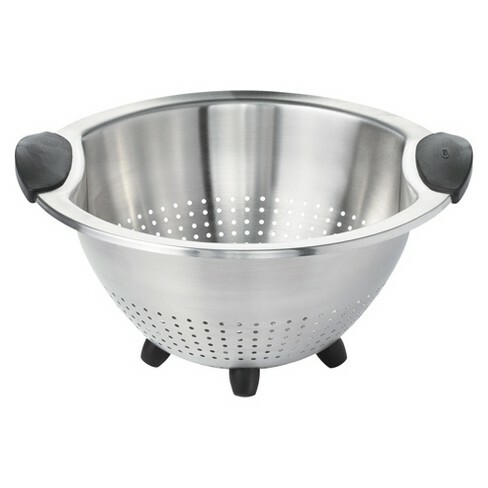 A steel colander is a perfect tool with small holes to easily drain plentiful without losing the food. The other added advantage is that it is rust-proof and also safe to put in the dishwasher. If you treat them right they will last for a very long period of time. 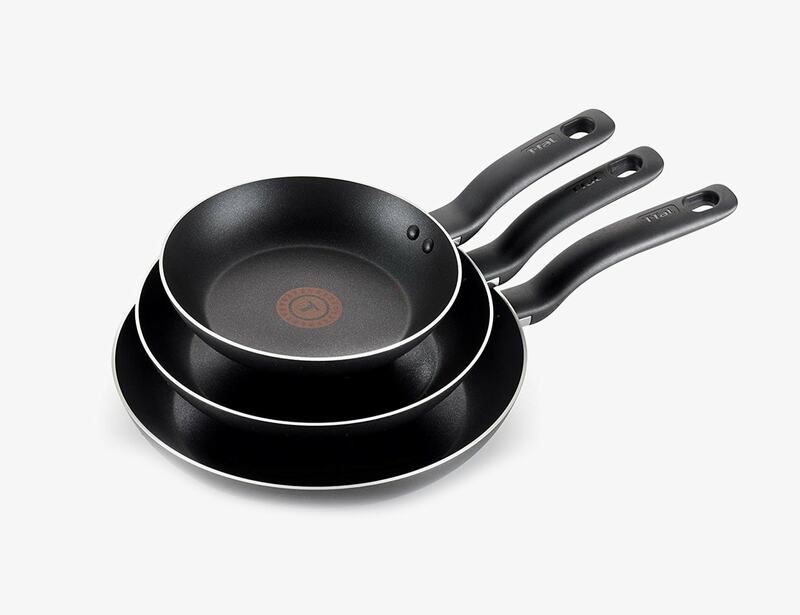 This pan gives you the liberty to easily make all omelets and other non-stick dishes that you want. Just keep in mind to not scrap the delicate non-stick coating and you are good. These pans also come with a limited lifetime warranty as well. 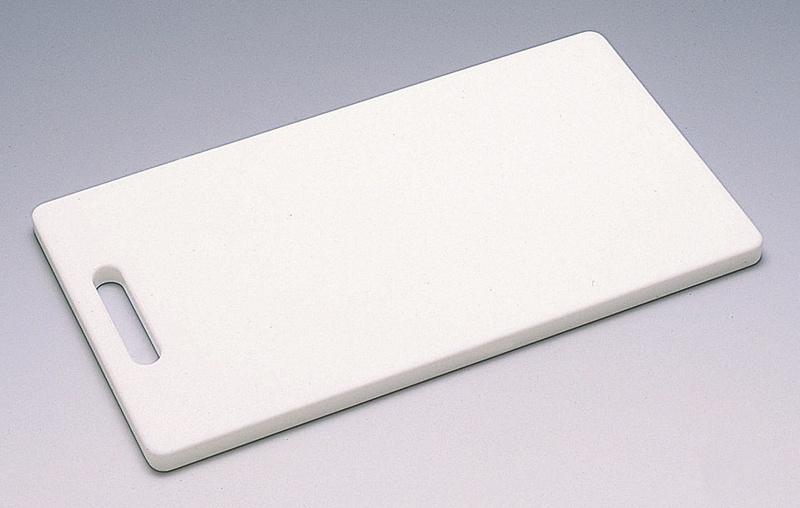 Do away with wooden cutting boards as they can be a breeding ground for bacteria and also very expensive. 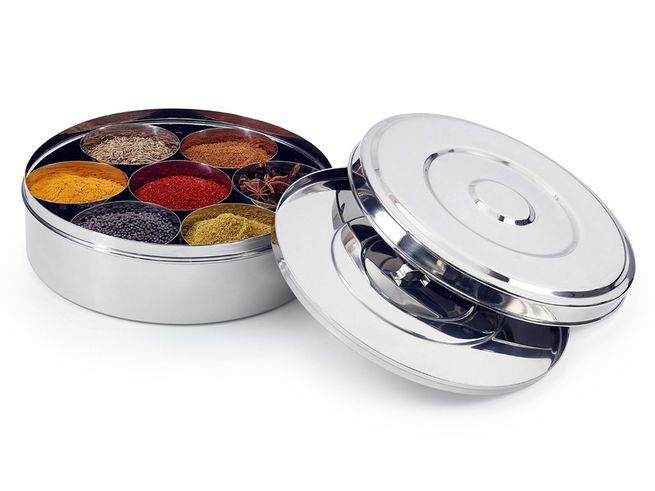 This complete set of tins is the staple for any Indian kitchen is one of the best ways to use the spices in an easy to use kit. 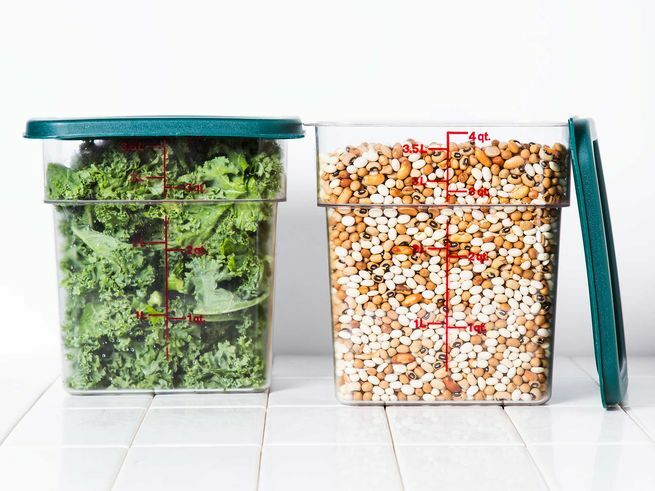 The idea behind this is to store all your spices in a small amount and combine them together for the best results. Now all of your favorite spices are safely segregated but grouped together for easy access. 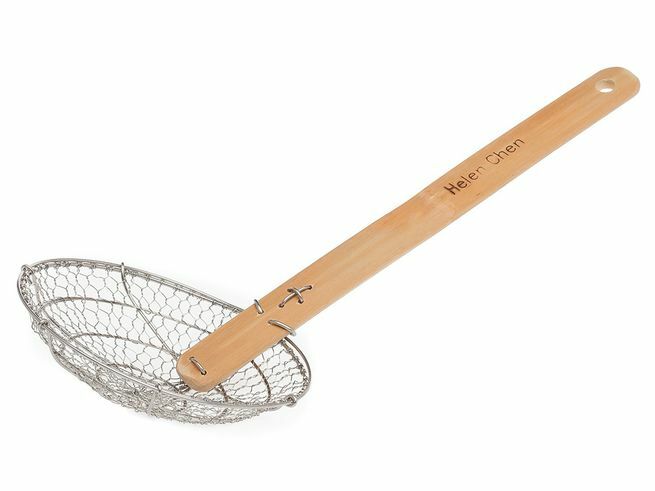 This handy strainer is the best solution when it comes to rescuing noodles, pasta, dumplings, vegetables or fritters or anything else from a pot of bubbling water or oil. This strainer is more effective than a slotted spoon and strains faster which gives you more control over the food you cook. So, there you have it some of the best kitchen gadgets under 3000 rupees that will help you save time, money and hours of hassle.